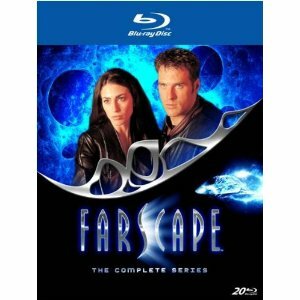 WorldMovieStore - Farscape The Complete Series Sinopsis. John Crichton. Astronaut. So begins the epic sci fi classic FARSCAPE. Relive the adventures of Moya’s crew — Crichton, Aeryn Sun, Ka D’Argo, Zhaan, Chiana, Dominar Rigel, Pilot — with unmatched sound and picture quality. Read More Sinopsis. 0 Response to "Blu-ray Release Farscape The Complete Series"